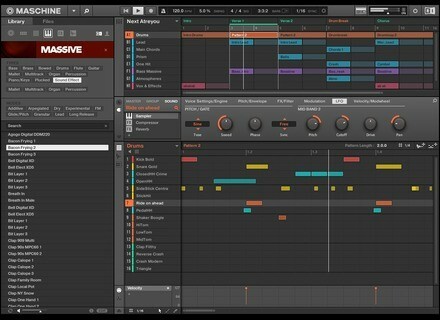 Maschine 2 Software, Electronic Music Sequencer from Native Instruments in the Maschine series. Through June 30th, owners of previous versions of Komplete and Komplete Ultimate can purchase an update or upgrade to Komplete 10 and Komplete 10 Ultimate at half price. They will pay 99,50 € and 199,50 € respectively. Also, owners of a Komplete Kontrol S keyboard, Maschine 2 software or individual Komplete instruments and effects benefit from nice discounts when they crossgrade to Komplete 10 and Komplete 10 Ultimate. 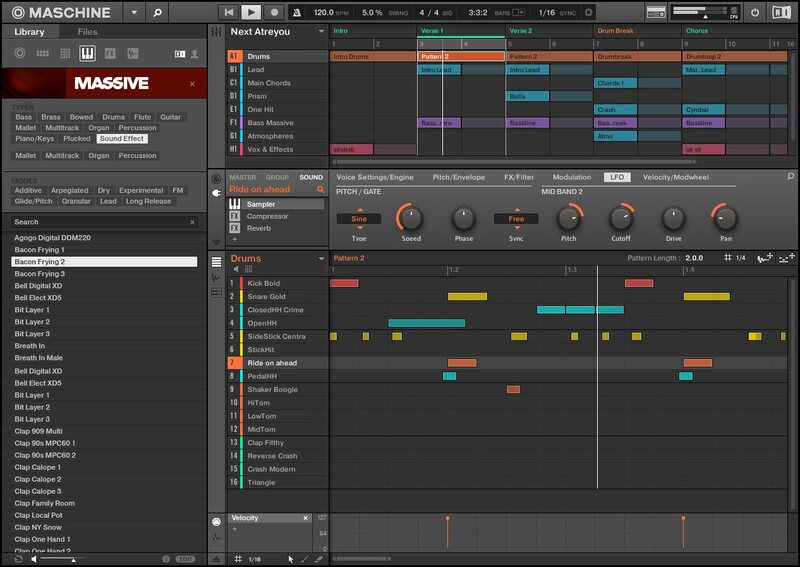 If you own Maschine, the update from the Maschine software v1 to v2 is also at half price and you can purchase Komplete Select, a bundle featuring 10 instruments and effects from the Komplete series, for 49,50 € only. Some individual Komplete instruments and effects can also be upgraded or updated with a 50% discount, such as Kontakt, Guitar Rig, Reaktor, Battery, Absynth, FM8, Session Horns Pro, Session Strings Pro and Supercharger. Last, if you purchase a Komplete Kontrol S keyboard in June, you can acquire Komplete 10 or Komplete 10 Ultimate at half price. You’ll find all the details about this special offer here. More info about the Summer of Sound sale at www.native-instruments.com. Review of the Akai Advance 49 Keyboard Controller Imagine a MIDI-controller keyboard that lets you seamlessly switch between virtual instruments from different manufacturers, keeps all your patches together in a single browser, and automatically maps controller information to its knobs and switches. Photos of Percussa Wireless AudioCubes PRO Percussa has released some high-resolution images of the third generation of AudioCubes: Percussa Wireless AudioCubes Pro. Discover Aly James’ VLinn Drums v2 Aly James invites users of the VLinn virtual drum machine to discover the v2 update in exclusivity.